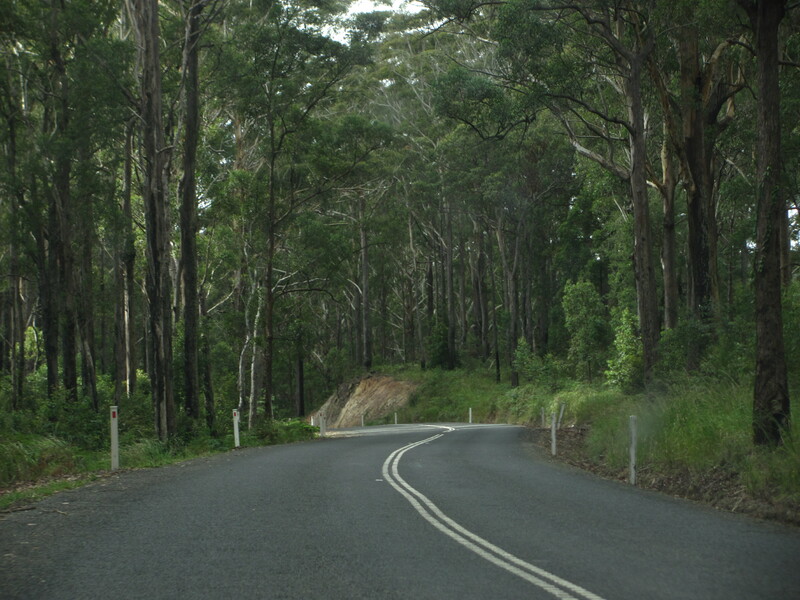 Somewhere near Esk in the Sunshine Coast hinterland. I’m a pretty organised person. I like to plan things out so I know exactly what I’m doing when. I’ve got a full time job, a child and an addiction to Diablo 3. There is no such thing as spare time. I planned out this year from January to December with the ultimate goal of submitting my first novel in January 2013 while also completing the first draft of a new novel. How’s it going, I hear you ask? Well, you might as well say I planned to drive to Melbourne and ended up in Darwin. Okay, so it’s not that bad. But the original road map has flown out the window. The novel I wanted to work on turned out to be not strong enough to be worth it. So I put that away and decided to work a completed novella up to submission status. That, I’m pleased to say, is coming along well. I’m 3/4 of the way through the second pass. In the meantime, I finished an 8k short that had been languishing on my heard drive for 5 years. I completed a 10k short that I want to submit to Extreme Planets anthology. I’m 3.5k into a novella for Crossed Genre’s Winter Well anthology. I can’t help it, I just love short stories. But while I’ve been doing this, I have also been thinking about my next novel draft, and I have one in my sights. Writing starts 1st July. So while I’m nowhere near where I planned to be, I’m not upset. I’ve revised my plan and kept moving forward. I’ve been writing and revising the whole time (except for 2 weeks where I angsted over some words that were really giving me trouble). I could have thrown my hands in the air and given up. I could have let the failure of that first novel send me into a spiral of writer’s block. But I have learned three important things from writing and selling short stories. Not every story will work, no matter what you do to it. New ideas will always come along, demanding to be written. If you keep writing and learning and improving, you will sell stories. I am not at all upset that this year didn’t fit in with my big plan. Because I still have that big plan. The end date has just blown out a little. And in the meantime I have explored new stories and learned more about the craft of writing and revision. Never let a wrong turn make you miserable. You never know what you might see along the way. Just keep driving. Your turn: how has the first half of the year gone for you? Have you lost your way? Are you still driving?